For most patients in need of urgent care, the path to find, evaluate, and select an urgent care center starts and ends on the internet. 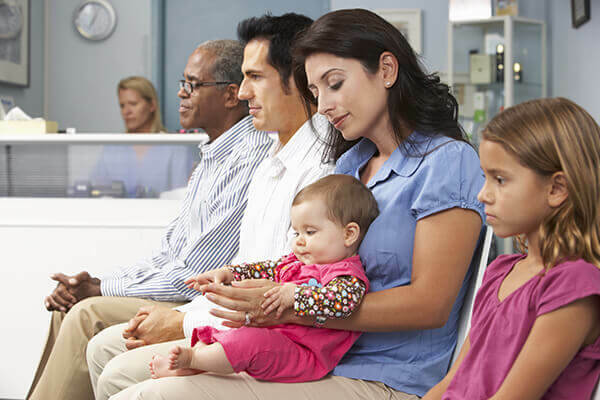 Due to the urgency required in finding immediate care, patients usually go with the urgent care center that shows up highest in search results with the most robust and positive presence. This is all usually done with a single glance, then a click to the center’s website. This means that everything about your practice online needs to be on-point; from your reviews and content to your website and social presence. Otherwise, patients will simply pass you by in their search. Pretty stressful, huh? Implement The “3 Pillars of Urgent Care Marketing” Formula & Relax! GMR’s proprietary software will improve the reputation of your urgent care center online, ensuring that positive reviews are posted consistently and negative reviews are limited. 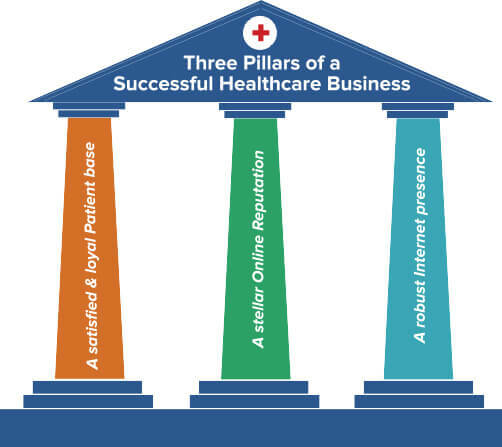 Once the first 2 pillars are achieved, GMR will focus on the most daunting task for healthcare professionals: building a strong online presence. Read below to learn a few ways we’ll accomplish that for you. As most patients search for an urgent care at the time when they need one the most, you need to ensure your center is ranked prominently on search results. As a local business, targeting keywords that include ‘near me’ and ‘nearby’ are difficult but absolutely necessary. GMR will ensure your urgent care center is ranked highly with the strongest online presence in your locality. Urgent care SEO (search engine optimization) solutions help your urgent care center and its website rank highly in searches happening locally. Solutions like Google My Business also make it easy for your patients to locate your practice on the map, as that’s often the first place a patient will check. Additional solutions we use to improve your presence and increase patient acquisition are: website development, social media marketing, email marketing, video marketing, and more. The patient experience can’t only rely on face-to-face interactions. Today, it begins right when your patients start interacting with you on your website, online listings or over the phone, and extends further to post-visit connections outside of the office (i.e. surveys, email alerts and newsletters, and responses to post-visit questions). By improving interactions with your patients at every step, you can build an all-around positive reputation for your practice, both online and personally. Our urgent care marketing solutions include a proprietary reputation management tool that helps in understanding your patients' emotions and address their concerns. This way, you'll be in a better position to immediately solve their issues and win their trust for a long-lasting relationship (effectively achieving pillar #1: a satisfied and loyal patient base). The tool also helps in managing your reputation online by improving your review scores and naturally increasing your patient acquisition. For urgent care centers that operate at different locations, keeping track of the performance of every staff member is a difficult task to manage. We provide an interactive tool to practice managers to assess and evaluate performance and make necessary changes for improvements. This tool provides a detailed performance report by patients for each practice and each provider all in one place. The more detailed your understanding of your performance and patient experience, the more enabled you are to fix potential issues. We are an expert in urgent care marketing and provide our unique and effective ‘3 pillars strategy’ across the U.S.
See the results of one of our urgent care centers below. Find out how we increased their total number of new patients online by 125%. Connect with us to improve patient acquisition rate of your urgent care centers.